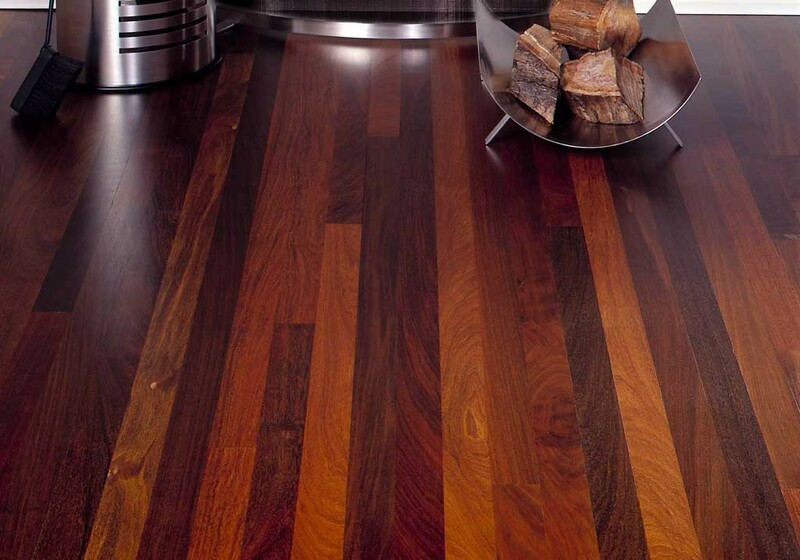 Brazilian Walnut flooring, also referred to as Ipe, is a strikingly rich exotic wood with hardness and durability among the highest of all timber worldwide. The colors range from olive brown to blackish with some pieces having a reddish tint. The color and graining vary substantially from straight grain to stunning waves of face grain marked by flowing dark lines. Our Brazilian Walnut is available in solid wood ¾” x 2 ¼”, 3 ¼”, 4” and 5” widths. Also Pre-finished Brazilian Walnut is available in the 3 ¼”and 5” widths.